Present: Meg, Evie, Mary, and Ann. * MARY is in charge of the trip to Hidden Villa, Saturday, October 24th. * EVIE will report in October about a venue for the quilt fundraiser. She will also make copies for the group to look at the Heifer Cornerstones. * ANN will be our Treasure (her concerns follow). Introductions: First we had introductions and chatted. Our first discussion was about Hidden Villa which is scheduled for Saturday, October 24th. So far the people going are: Mary Meg, Julie, Caroline and possibly Ann. If anyone is interested, please call or email Mary Blom at 823-6616 EHFARMS@aol.com Please let her know as soon as possible so she can notify Hidden Villa. We have no venue for a fall quilt auction. We still need to connect with the winery in Napa that showed an interest. They are out of the country at present. Evie will connect with them when they return and report back when she can. ISAAK says that there is going to be some information coming from Heifer concerning the standardization of websites for Heifer groups. More to follow on that. Who's interested in going to NAPAL? Could Caroline give us a run down on the cost of the proposed trip? ANN said she would be our treasurer. She wants us to get a bank account for our group funds. 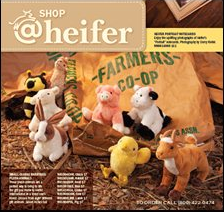 The Heifer donations will be mailed in when received. 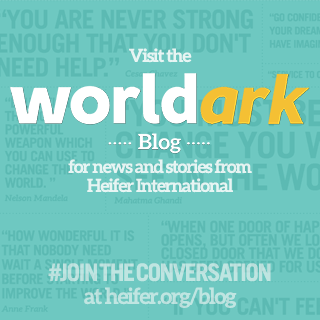 The $300 we have collected will be sent in to Heifer right away. EVIE has done research on studying the Heifer Cornerstones. She feels that the pamphlet does a great job. It is interesting to study how helping others has evolved throughout the years. How will we consider these cornerstones on our personal lives? What do they mean to us as a group? What do they mean to us in how we live our lives? EVIE passed out the phone lists. Thank you, Evie! She was going to try to e-mail the list to everyone. Next meeting is our trip to Hidden Villa on October 24. Our November meeting will be in Napa at Evie's house. Her number is 707 255-3388. 0 Response to "Minutes: September 12, 2009"